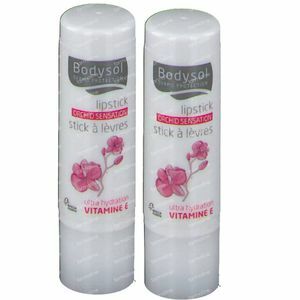 Bodysol Lipstick Orchid Duo 2nd at -50% 2x4,8 g order online. 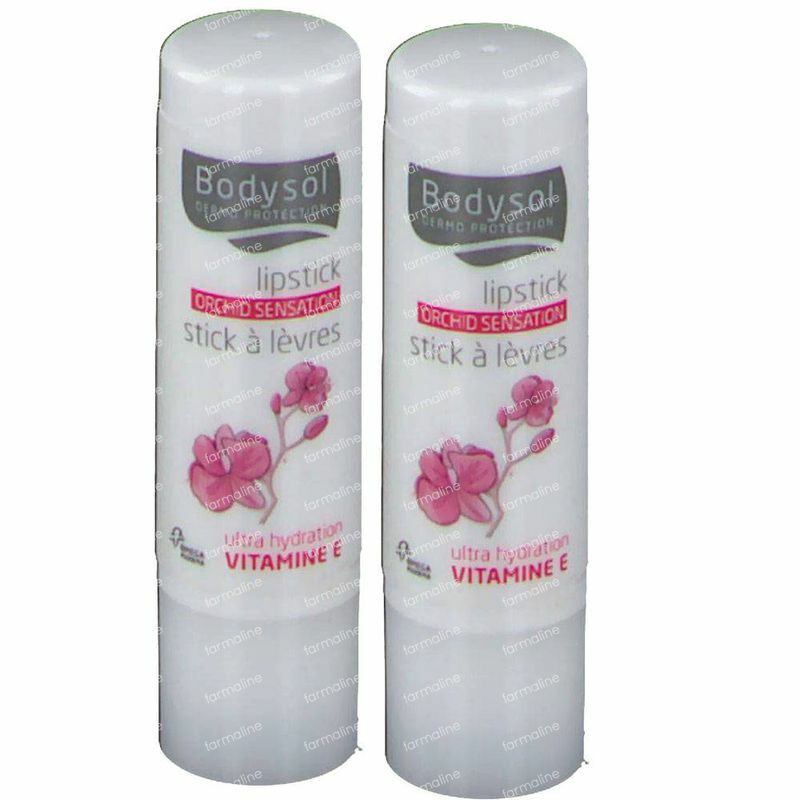 Restores, cares and hydrates extra dry lips and cracked hands caused by cold, wind and sun. restorative and nourishing ingredients (e.f. orchid extract, sheabutter, nutitional oils, beeswax), sunscreens (UVA-UVB and antioxidans (Vitamins A and E).